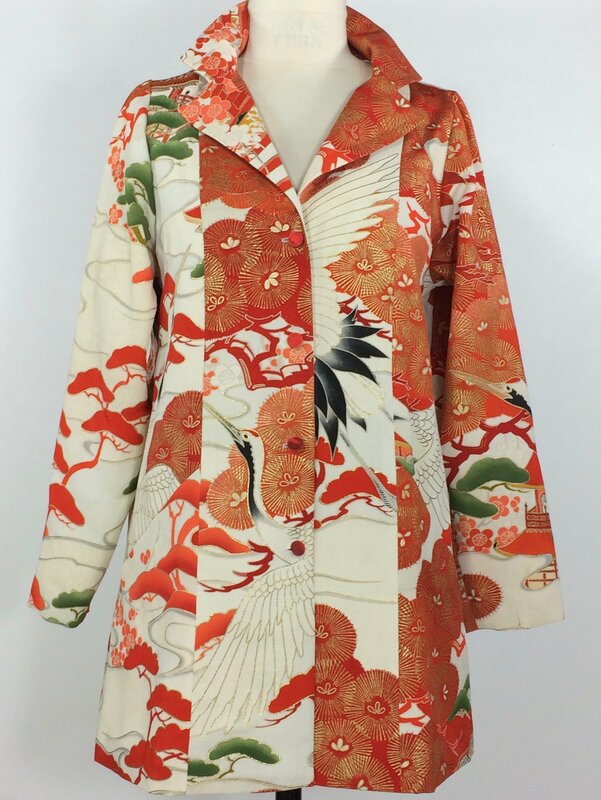 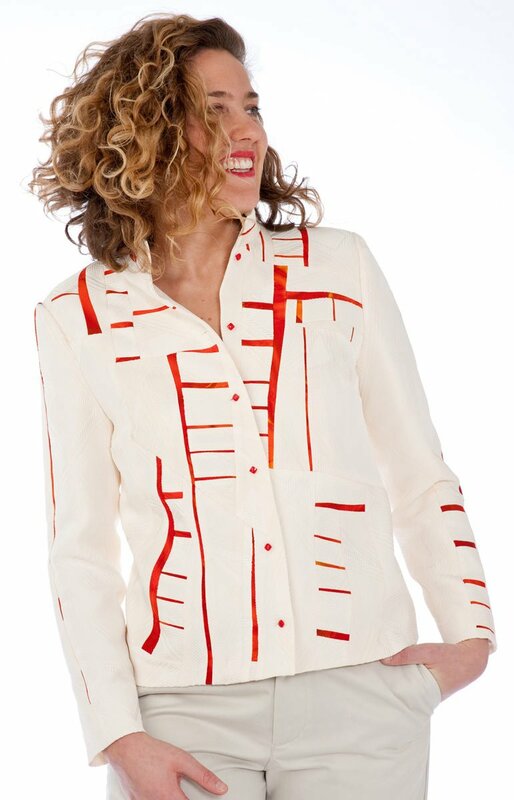 Red and White Jet — Pieced jacket from vintage kimono silk. 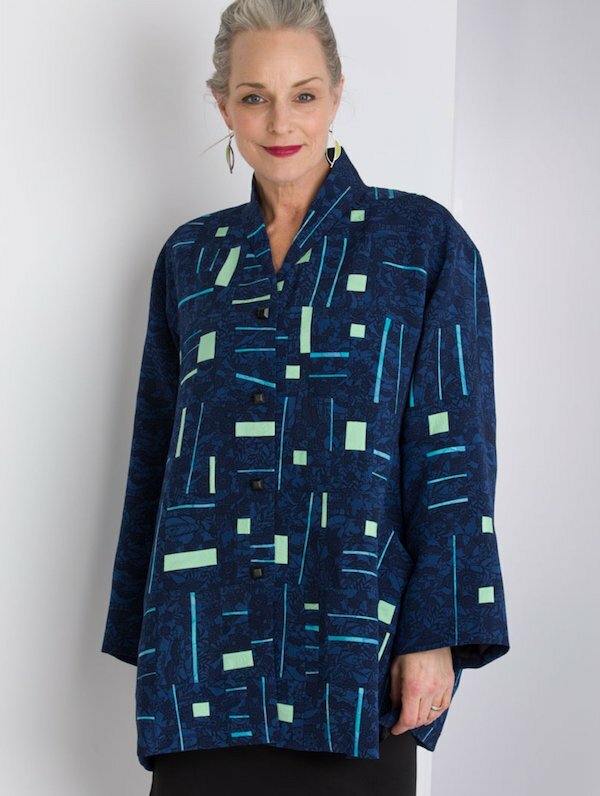 Moon Swing — Pieced jacket from vintage kimono silk. 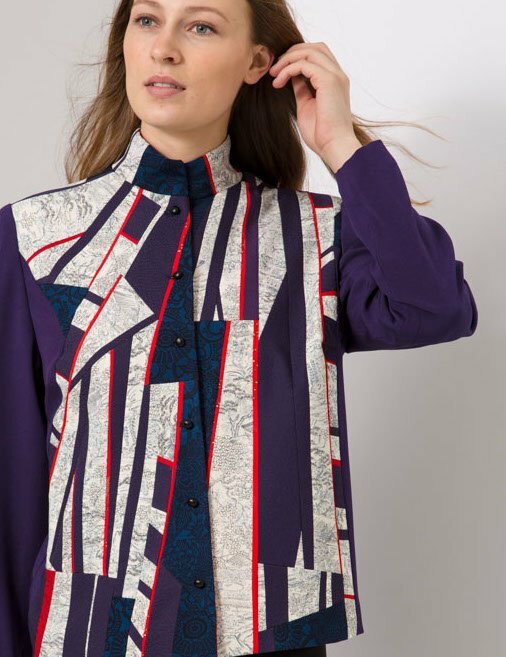 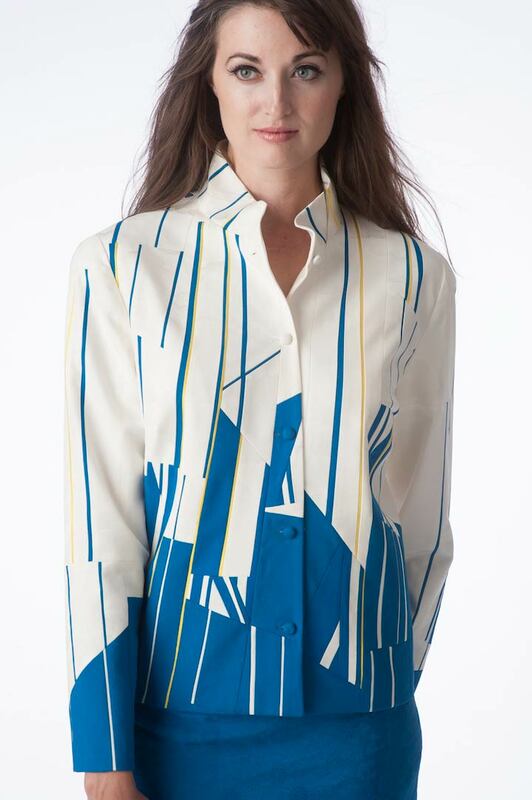 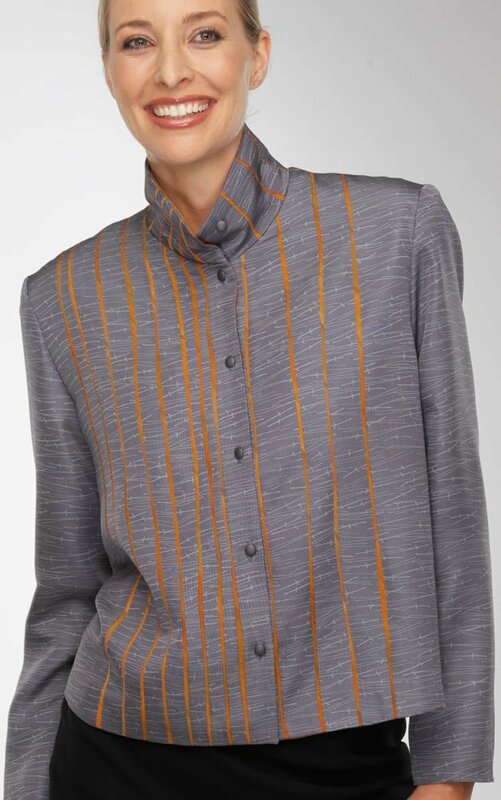 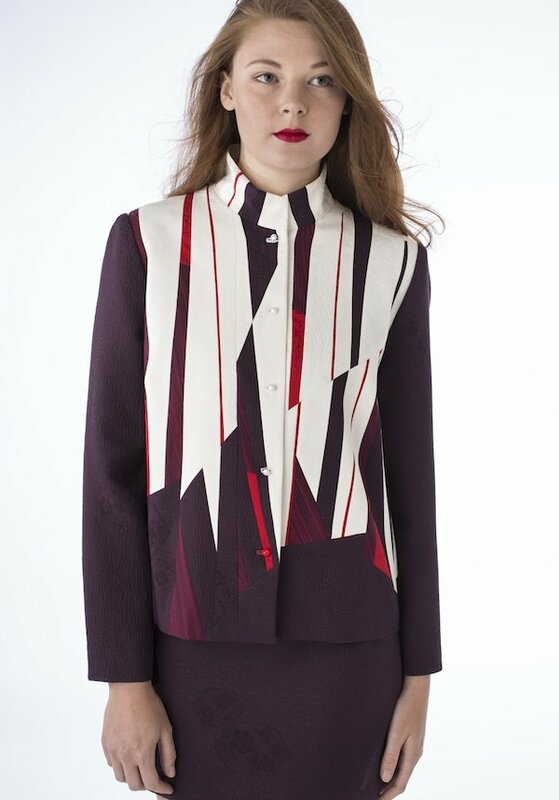 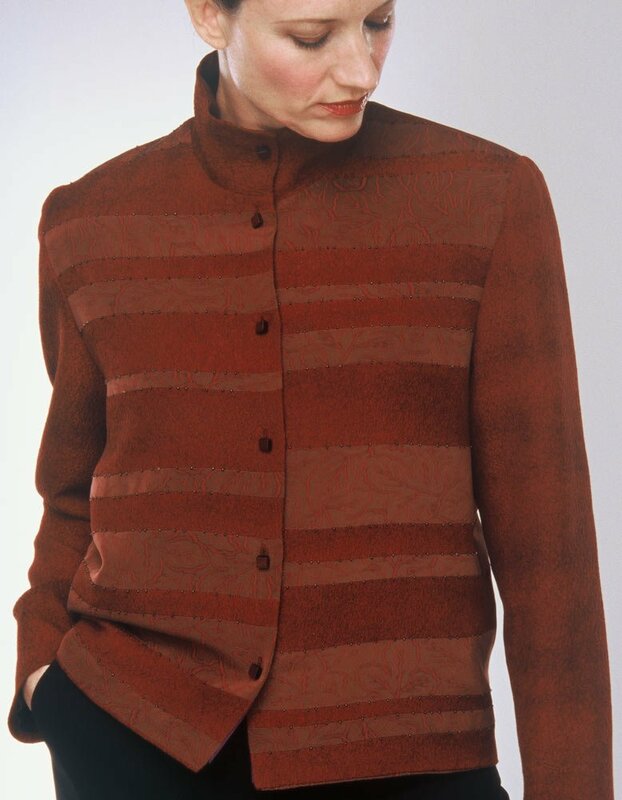 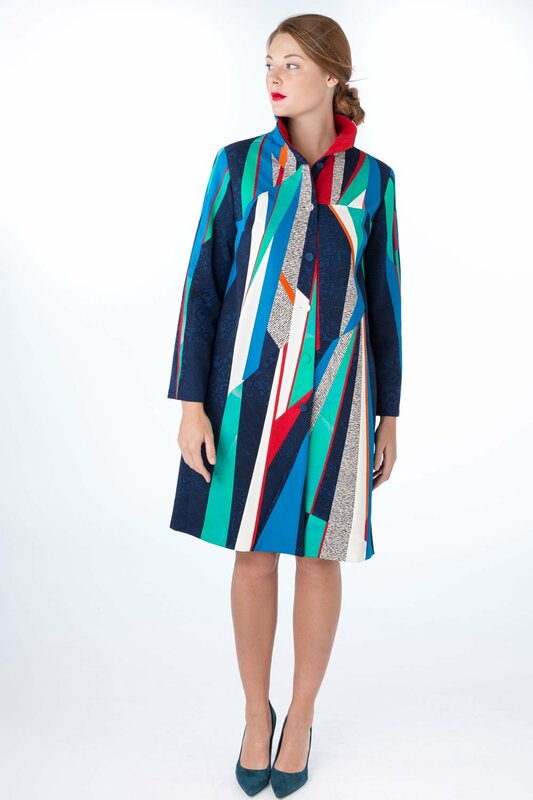 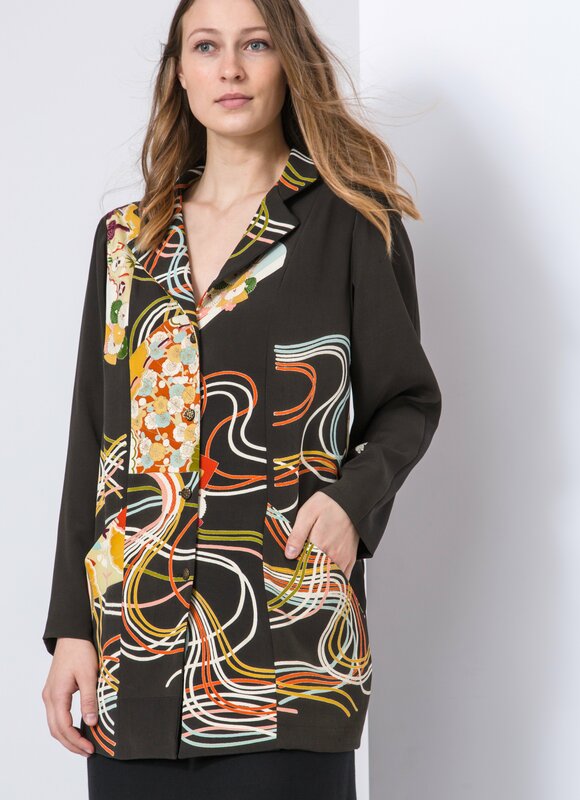 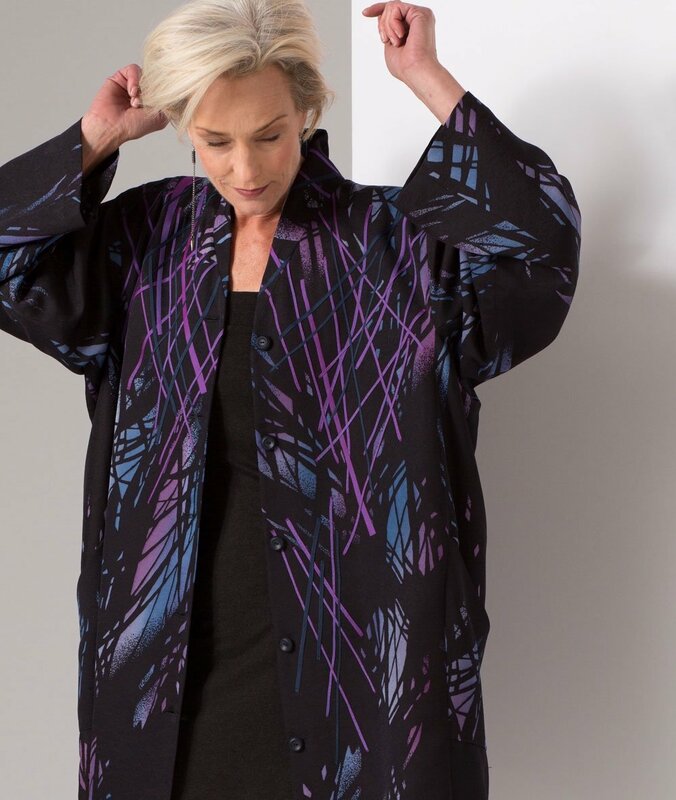 Dove Soft Stripe — Pieced jacket from vintage kimono and painted silks. 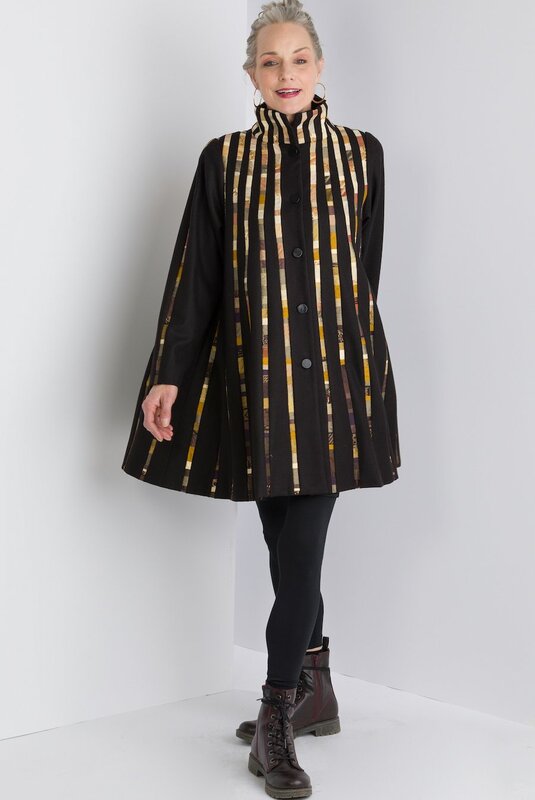 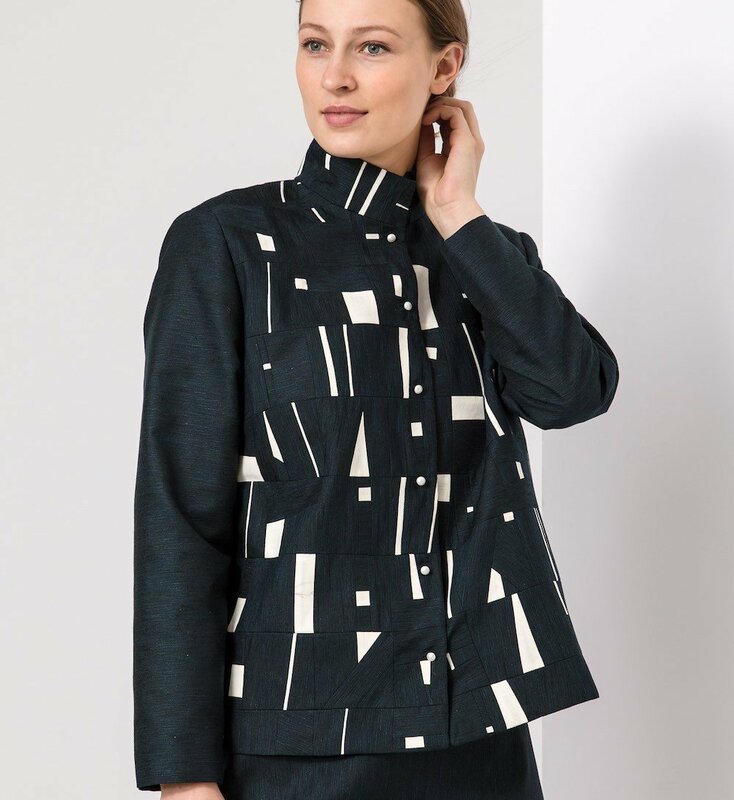 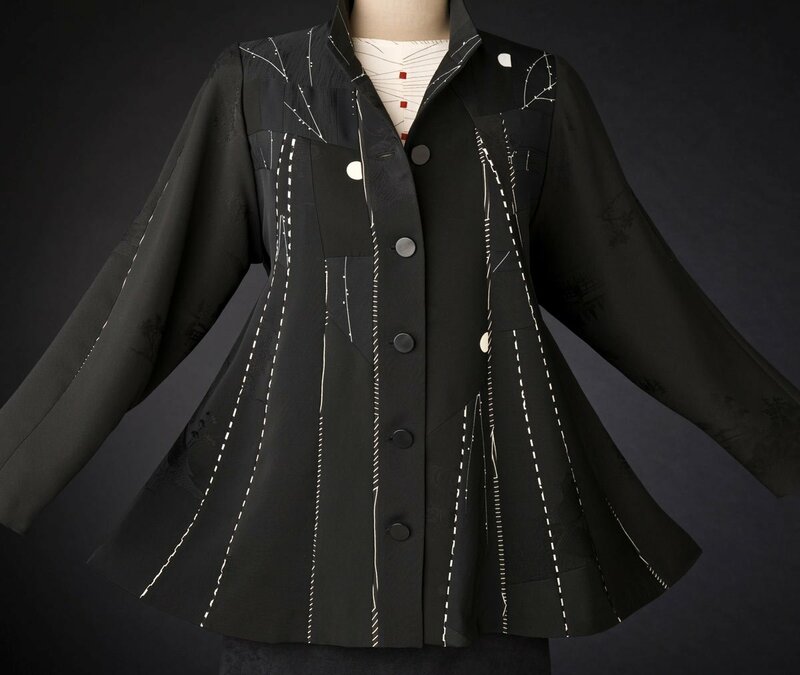 Black and Check — Pieced and hand appliquéd jacket from various silks. 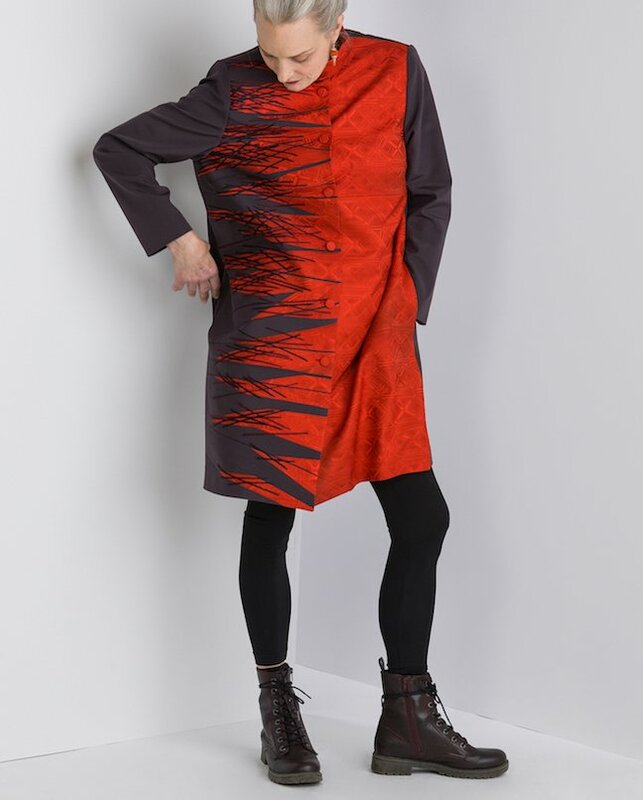 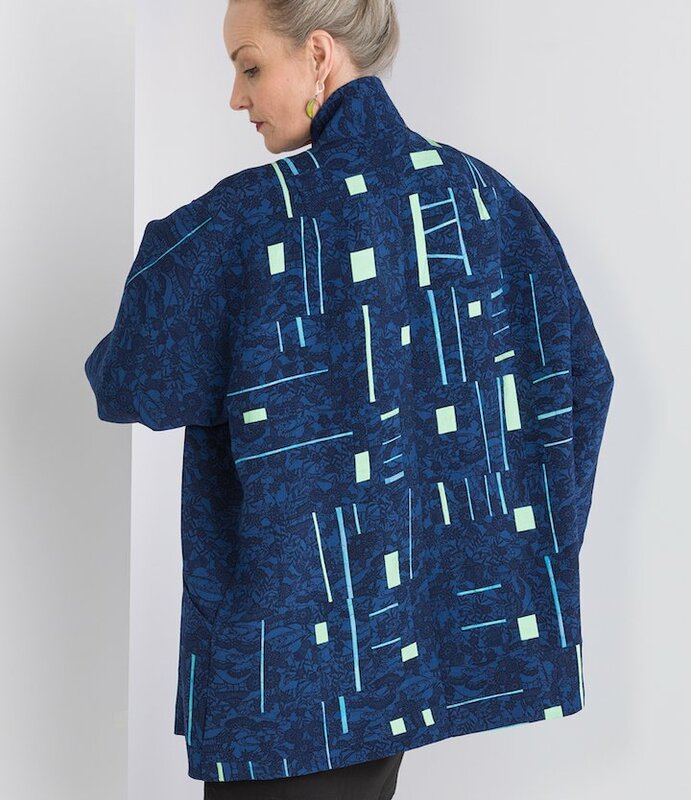 Kimono Swing — Pieced jacket from kimono and other silks. 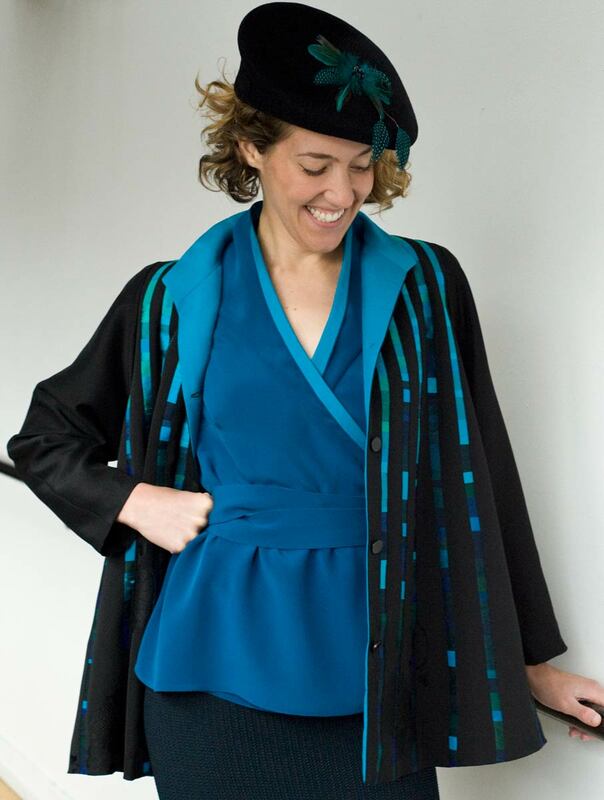 Shown with a wrap silk top and a Dayna Pinkham hat. 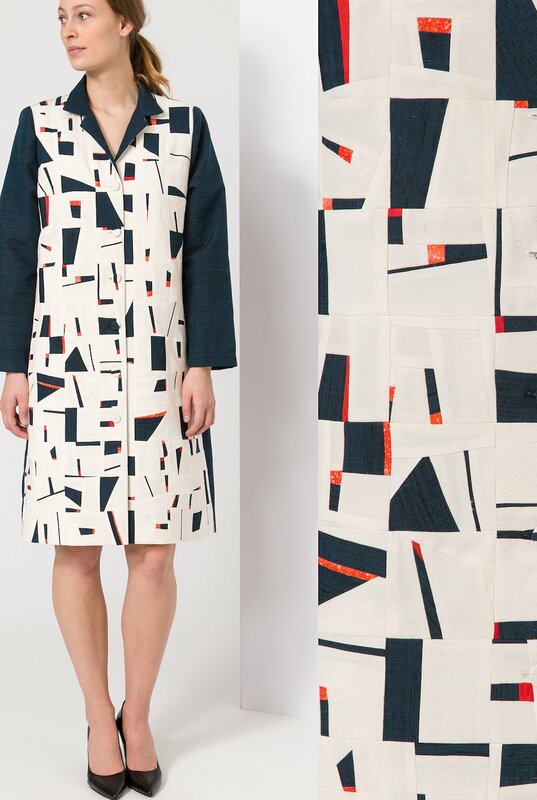 Breeze — Various silks cut into narrow strips, sewn into tubes, turned and ironed flat. 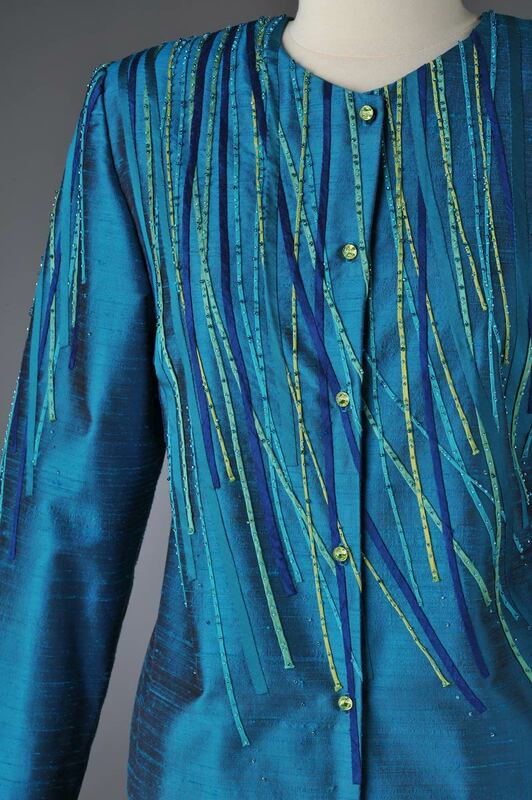 Hand stitched into place with glass beads. 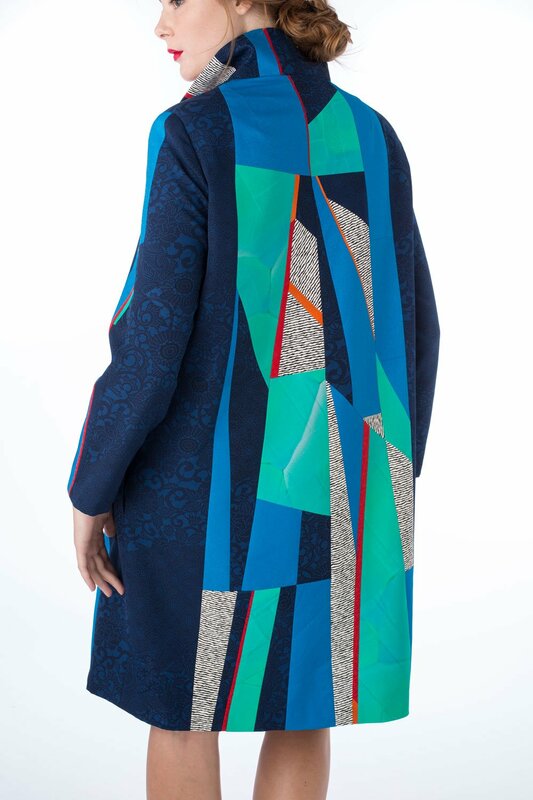 Shards — Coat, pieced from vintage kimono silks. 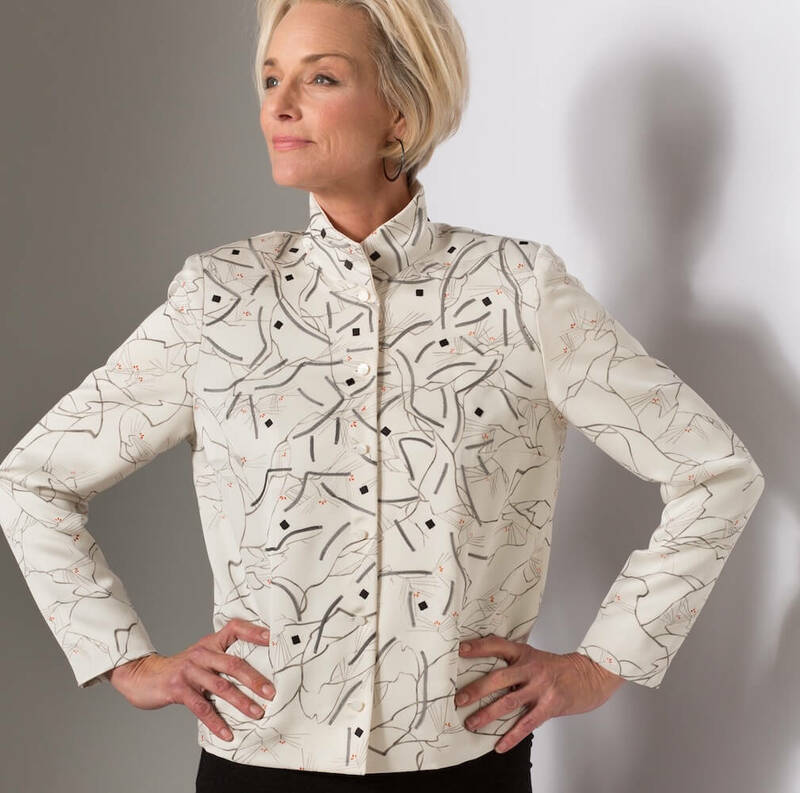 Peach Jacket with Full Collar — Vintage kimono silk jacket with a collar cut from a Randall Darwall hand-woven silk scarf. 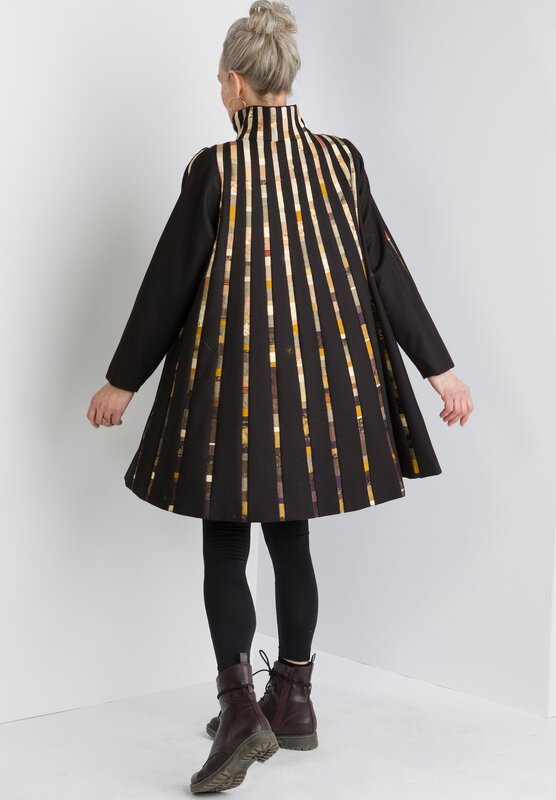 Embellished with a bias tube and silk fringe trim.